“High school equestrians have earned their place among the most dedicated athletes,” shared John Long, USEF Chief Executive Officer. 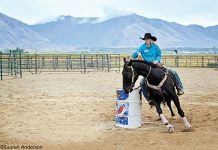 “Not only are they putting in long hours to train for and compete in the sport they love — they do so while taking the concept of teamwork to the highest level, forming a partnership with a horse to achieve their goals. 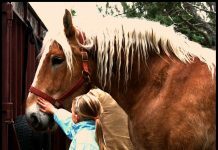 The new High School Equestrian Athlete program is open to equestrian athletes in all breeds or disciplines who are enrolled in grades 9-12, and are currently USEF members, or become USEF members. The program will run June 1–May 31 of each year, and will honor those who document their training and competition involvement by awarding emblems and pins. These are designed to be worn on existing high school letterman’s jackets, or any jacket of the athlete’s choosing, as a rite of passage and symbol of achievement. Please note: current Seniors are offered the opportunity to enroll by January 29, 2010, and complete the requirements by May 31, 2010, to earn their letters on a shortened schedule. For more information on the USEF’s High School Equestrian Athletes Program, please contact Lauren Fahey via e-mail at lfahey@usef.org. This sounds great!! High Schoolers should get recognition for balancing schoolwork and their riding (like me and many others)!!! I am glad people are starting to realize horseback riding is a sport! Awesome! Maybe I can get one! 🙂 Its hard to squeeze in riding & competitions during the schoo year, especially when thats not your only extra currcicular activity. 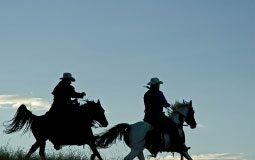 Ive seen many of my friends have to choose between horses & other activities & sadly many have dropped riding, but horses are always going to be my choice! I’ve always wanted to go to a high school w/ Equestrian, but I don’t. This is a great way for dedicated and talented riders to get recognized! I hope some day I can join! oh my gosh that is really amazing!! im on my high schools equestrian team and i think thats so amazing…our school team does offer Lettering for our sport but maybe i’ll show this to everyone in case there is a school that doesn’t offer lettering. Oh my gosh! Maybe I can get one! I really interested in this! I show quarter horses in all around events. Does anyone know of any near Dallas, TX? I!m Brasilian, moving to Miami next year, and my 14 years old daughter will study there(high school). She has great skills on hiding, and would like to continue this sport in Miami, in a school team. 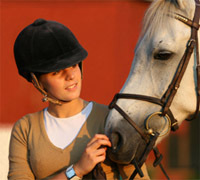 Do you know if there an equestrian school program in Miami?